I have been using essential oils for years. They are perfect for when I need uplifting, need help sleeping or if I want to use a more natural air freshener. The possibilities really are endless when it comes to essential oils. When people ask me about oils I always tell them that you can have as many as you want but make sure you have these “essentials”. Most diffusions will call for them and they are super versatile. 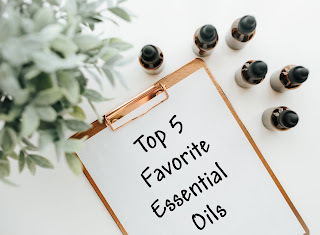 Here is my top five “essential” oils! This oil is important for many reasons. I use it when I cut myself, when I want to cleanse the air when I am sick and so on. I tend to have itchy, dry scalp in the winter so I add a few drops to my shampoo and no more flakes. I make homemade deodorant with it to kill bacteria that causes stinky pits. You can also add it to DIY household cleaners to get rid of mold and mildew! This one is a personal favorite of mine. I love the smell of it and it has many more uses than you would think! Of course you can use it to help you fall asleep at night but you can also use it to help get of acne and to heal scrapes and cuts. That’s because lavender is also an antibacterial! Sometimes tea tree oil is too harsh so I will use lavender instead. I mix it into my face oil to help with acne and dryness. It’s also good for dark circles. Just mix it with aloe and dab on your under eye. It’s also good for wrinkles! This one I love because it helps prevent bugs and mice. I soak cotton balls in peppermint oil and put them in areas where I get a lot of spiders or mice. They hate it! It’s also good for a bug repellant. We’ve posted about DIY bug repellent here and here. But I also use it when I have a chest cold because it is great at helping to break up mucus. I have terrible allergies and something that has really helped was diffusing peppermint oil with lavender and lemon. This is because peppermint helps to relax your muscles so you can get all that gunk out of your system. Got a headache? Mix some peppermint with a carrier oil and dab a little on your temples. This oil can be used around the home to help break up grease or to get rid of sticky residue. You can also use it to freshen laundry. I add a few drops to my laundry soap or on a wool ball. My favorite combination for laundry is lemon and lavender. Don’t have a lemon but want lemon in your water or tea? Add a few drops of lemon essential oil! 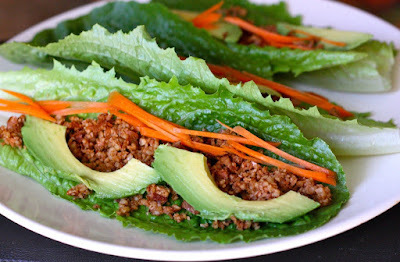 You can do this with lime, orange and grapefruit oils too. Use lemon oil as a furniture or silver polish and avoid cleaners with other harsh chemicals. You can also add drops of lemon oil to cotton balls and put in places where you want to kill odors! Frankincense oil seems a little weird to have on this list but it is something that I use pretty much daily. It is great as a face oil, with lavender, to help with aging skin. You can take it internally to help with your immune system. I make it into a roller and keep it with me to help relieve stress. I just roll it on my wrists and the smell helps to calm me down. You can also use that roller as a cuticle oil when you are trying to grow your nails. Use that same roller on your throat and it helps with coughing. It also helps with swelling so you can dab it on pimples to reduce the size in no time. What essential oils do you consider to be “essential”? Let us know in the comments below!